Trekking in Nepal is the ultimate nature experience. Why rush from one attraction to the next when you can slowly take in the amazing beauty of Nepal whilst breathing in the fresh air. Nepal’s unique landscape is idle for hiking. 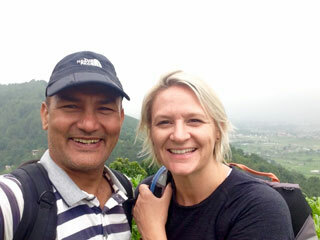 People from all generations will enjoy a Nepalese trekking experience whether a day walk or longer days trek. The trails are generally quite distinguishable. Himkala Adventure Pvt. Ltd. offers guided trekking in Nepal. 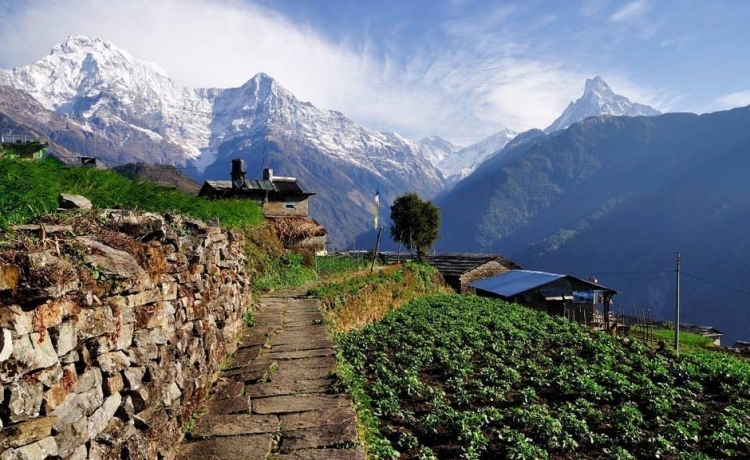 Trekking in Nepal is also a culture experience as you will come across quaint villages and quiet monasteries whilst traversing the challenging terrains. To become truly acquainted with the magnificent land of Nepal, trekking is a must for all visitors. Trekking in Nepal can be categorized in to two types. Backpackers carry all their necessary equipment and food whilst trekking. This is not really necessary when trekking in Nepal as food is readily available at villages in the hills. Backpacking however, does work if you are planning on trekking at higher altitudes as villages and accommodation cannot be found above 4500 m except at Everest and Annapurna Sanctuary. If it is your goal to trek to high lying areas, you may wish to adopt a more mountaineering approach. So, in Nepal, people do trekking either independently on tea houses or lodge to lodge trekking or hiring guides/ porters or do camping through official agency. Doing independently is cheaper and gives you more control over many aspects of the trek yourself but trekking in those areas is difficult if you do not speak Nepali. You may have problem about the routes and all necessary information about the places, culture and safety. Hiring guides/ porters yourself is also full of responsibility. More importantly, you have to manage permit and fees yourself or with registered local agency. This type of trek involves organizing your guides/sherpas, porters, equipment and food. This sort f trek is known as ‘Camping Trek’. No matter, either the small or the big groups, arranged trek through authentic company offers a degree of luxury that is more organized, systematic and comfortable. The porters will carry your equipment whilst the sherpas will set up camp and prepare meals and you will sleep in tents. Most of the necessary equipment is provided. They cook fine meals. You do not have to worry about planning things. They have someone with medical expertise along, and emergencies can usually be handled more quickly. Those who have gone for this option have had a wonderful time especially if they have gone with a group of friends. Himkala Adventure Pvt. Ltd. organizes everything for such trek. Trekking in Nepal is an unforgettable experience though it requires a certain level of physical fitness.